When Big Sister E was around 8 months old, she and I started going to music classes for babies and toddlers, the kind where moms and kids come to sing and dance around and play with instruments and attempt to not feel self-conscious (at least for me). Big Sister E loved it and we looked forward to going every week, although it was taking a fairly good-sized chunk out of my pocket. Yes, it was entertaining, but did it need to cost quite that much? After a few sessions went by, I just couldn't justify paying that amount of money anymore, plus I had started a playgroup of our wonderful friends, so we stopped going. I know Big Sister E and Little Sister B would enjoy music and movement classes today, but the price and finding something that fits both of their age groups would be difficult. As luck would have it, we can now sing and move and play right in the comfort of our own living room with Sukey's Circle! featuring Sukey Molloy and her Sunshine Family of friends. 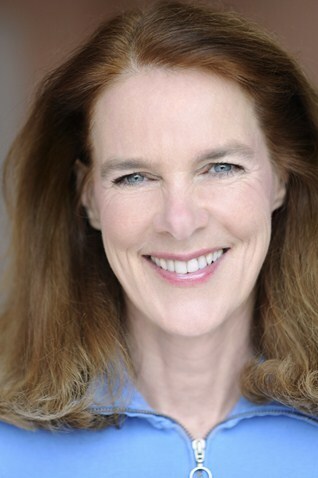 A developmental music and movement educator, Sukey Molloy is also a performing artist and award-winning recording and video artist of children's music, movement and song. In addition to appearances with her Circle Song Band, Sukey creates and teaches movement and music programs for children from birth to six as well as giving teacher training workshops for early childhood educators. 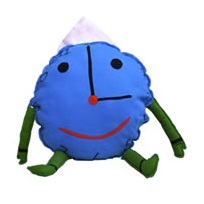 Throughout the two episodes (These Are My Eyes and Tick Tock) on this DVD, Sukey's Circle! combines both live action with animation to keep kids' attention. As Sukey danced onto the screen, I could immediately see her background as a former professional dancer in New York City and her voice is friendly and engaging. Both of my daughters were immediately hooked. As we were introduced to Sukey and her Sunshine Family of friends - Tick Tock, Sunny, Sunflower and Little Flower - Big Sister E and Little Sister B alternated between sitting frozen with their eyes glued to the screen and being up dancing and clapping along. The first song, These Are My Eyes, had them both pointing to their eyes, nose, mouth and more in excitement as Sunny (at left) participated with them. Bright, colorful, fun and engaging, Sukey's Circle! is a DVD that kids and adults can both appreciate. The original music, simple images and Sukey's gentle way of encouraging children to learn and play manages to keep the whole family captivated. 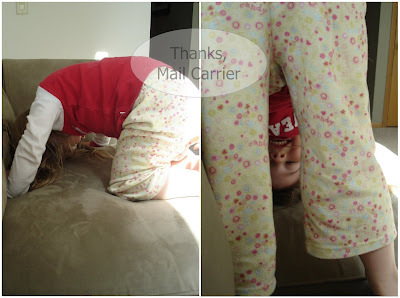 We can now have our own music and movement classes at home in our pajamas whenever we want! 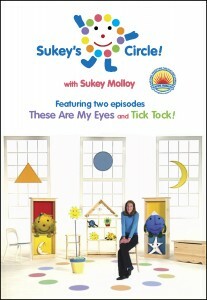 To find out more about Sukey Molloy, see a trailer of Sukey's Circle! and discover purchasing information visit the PlayMove&Sing website (Sukey is on Facebook as well). 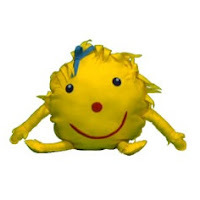 Plus, if you live in the Rockland County area of NY and would like to visit with Sukey in person, check out her PlayMove&Sing classes, interactive movement, song and play programs for kids of all ages. Thanks, Sukey Molloy and PlayMove&Sing for this creative, entertaining and educational music experience for babies, toddlers and children. And, for always getting me moving in my hurry out to the mailbox, thanks, Mail Carrier.